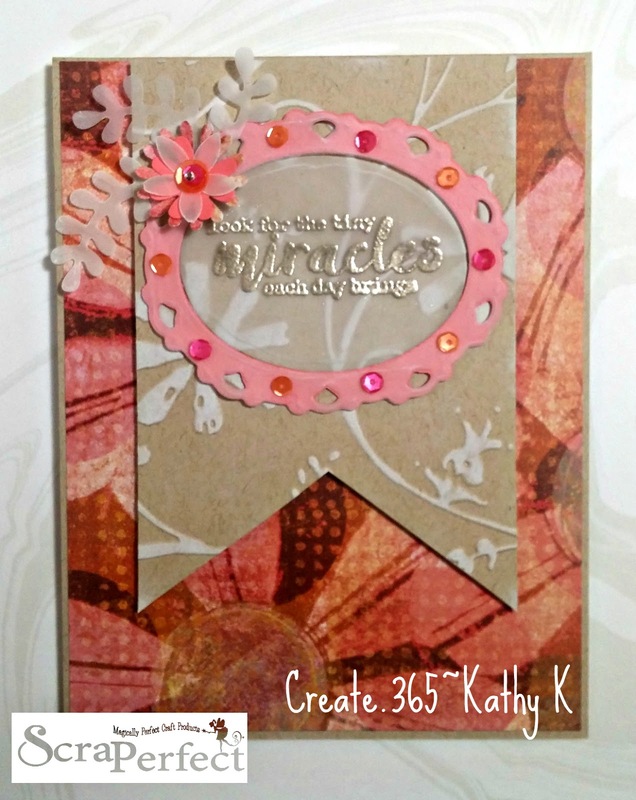 Hello~Kathy here from Create.365 with a pretty Happy Birthday card using ScraPerfect products and inspired by sketch #220 @ the Atlantic Hearts Sketch challenge. I will also be entering it @ Pause, Dream, Enjoy for their "Emboss It!" Challenge, @ Mod Squad Challenge where we are "Making the Sentiment the Main Focus" and @ heARTful Stamping for their "Happy Birthday" challenge. 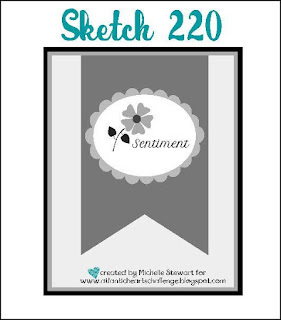 The banner I handcut from kraft according to the sketch and ran it thru the floral Cuttlebug embossing folder. 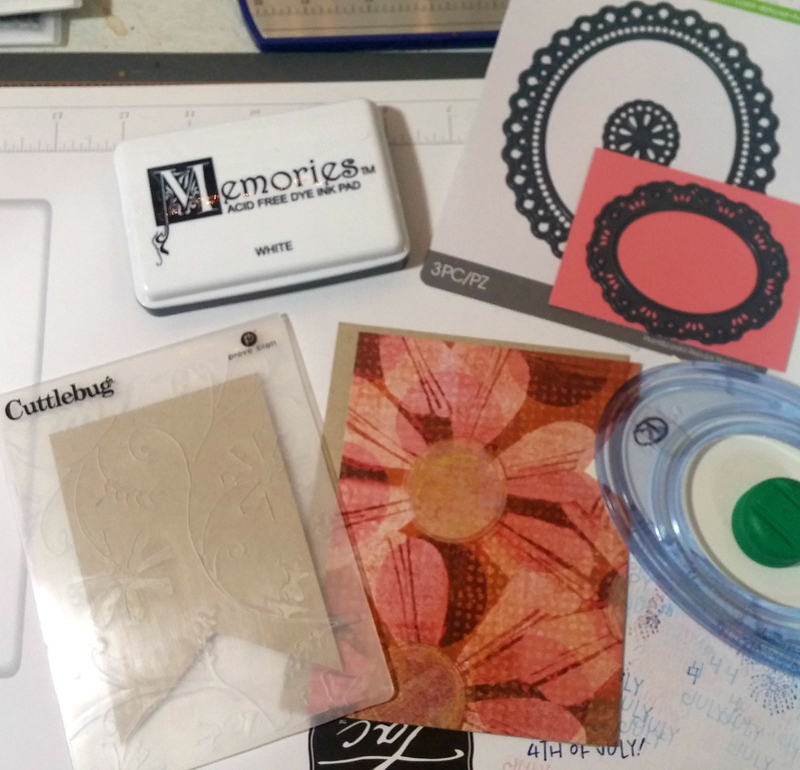 I then brushed the white Memories ink pad across the raised design to highlight the flowers. I adhered the banner to the card front using mini foam dots for a bit of dimension. 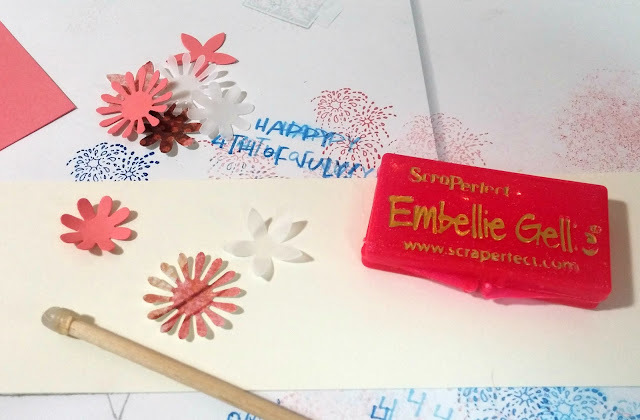 I layered the 3 different blooms using the Best Glue Ever with the No Clog Writing Cap and the Embellie Gellie tool. I layered the one on the front with sequins and a teeny tiny rhinestone. But I would never attempt to do all that without the help of the Embellie Gellie tool! 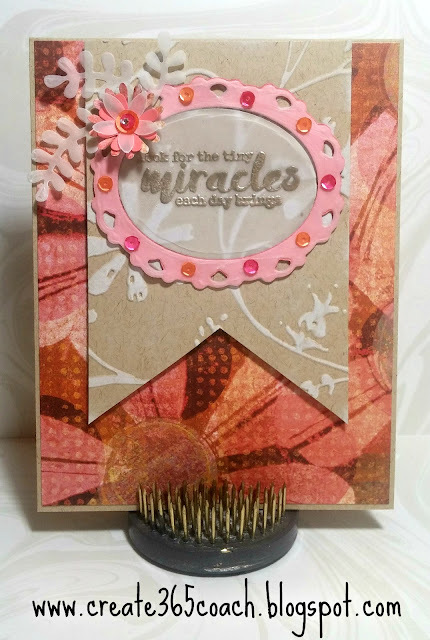 Using Versamark ink and Platinum embossing powder, I stamped Happy Birthday on the diecut coral oval for the inside of the card and the "Tiny Miracles..." sentiment on the vellum oval for the card front. When heat embossing on vellum it is especially important to use the Perfect Crafting Pouch before stamping to eliminate static cling and powder sticking in all the wrong places. (I just gotta tell you how much I love and use this Pouch! 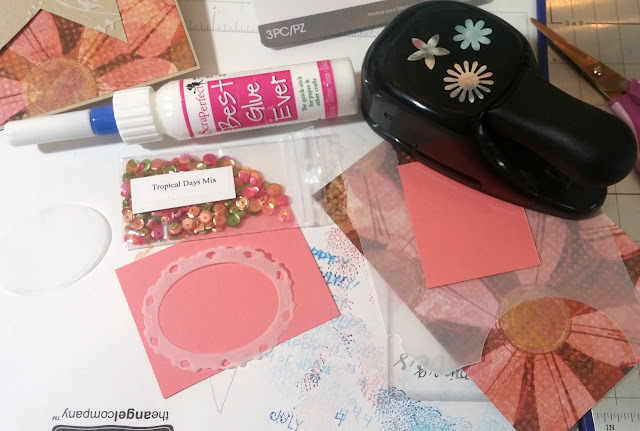 I have tried 3 different products that were supposed to solve embossing static and this is the only one that I've found truly works! The others either make a mess all over your hands or smell overwhelmingly like baby powder-yuck!) The Perfect Cleaning Cloth then removes any remaining powder residue that may be left behind once your embossing is cooled down. 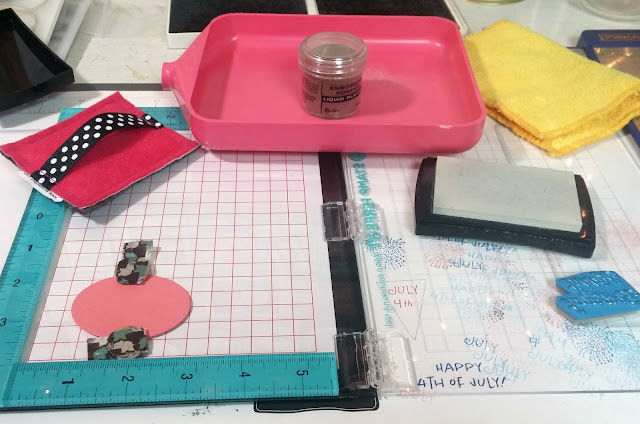 The vellum frame was layered on top of the coral frame using the Best Glue Ever and adhered to the kraft banner on the card front using mini foam dots. 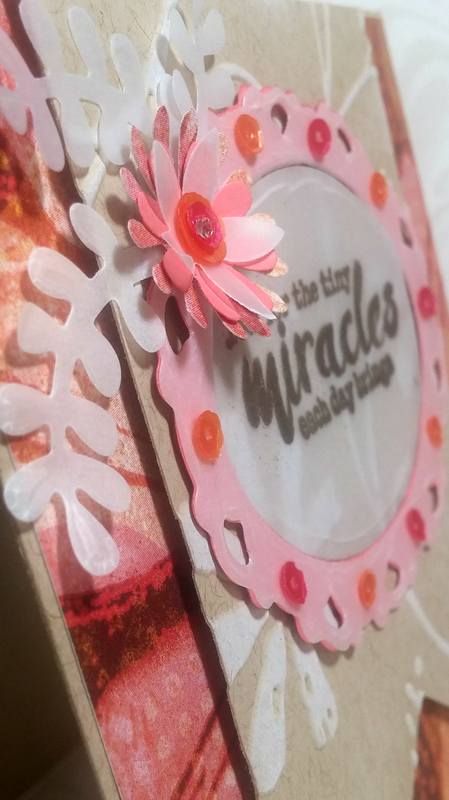 The vellum oval was adhered using the same glue by hiding it under the "miracles" embossing and letting the dots of glue dry first so they are practically invisible. The vellum sprigs were diecut using a Spellbinders die and adhered with the Best Glue Ever under the layered flower -as were all the sequins I placed around the frame. 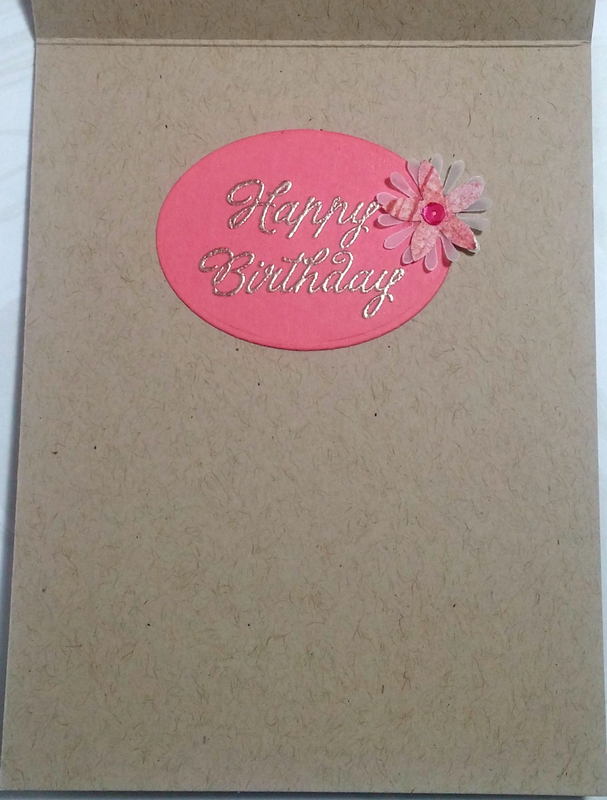 I made one more flower for the card inside, but kept it much flatter this time, only using 2 layers and one tiny sequin. I love the sentiment you chose for your card - it is so very true! 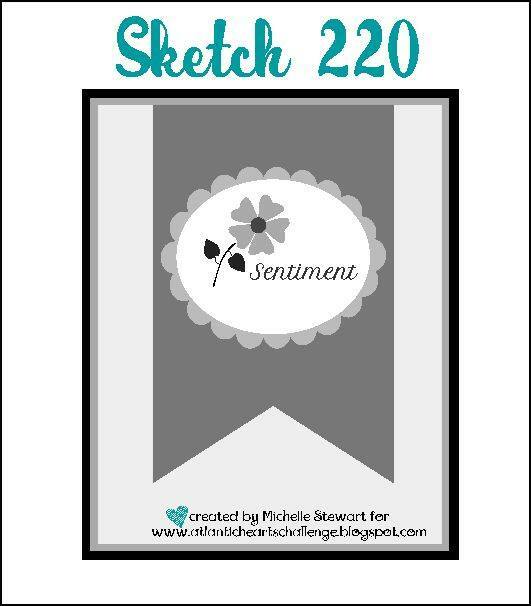 Great take on the sketch this week. Thanks for joining us at Atlantic Hearts. thank you! It's from Unity Stamp Company, but I think I totally forgot to mention that, lol! Very nice sentiment and it you made it center and front. Great Job. I love the embossing on the banner. Thanks for sharing with us at the Mod Squad this week. Good luck and hope to see you again. So very pretty! I thought you used embossing paste for a second until I went back and looked... love this! Thanks so much for playing along at Atlantic Hearts this week! Great card, I love the different colours and textures. Wonderful! Thanks for playing along with Atlantic Hearts Sketch Challenge (AHSC). 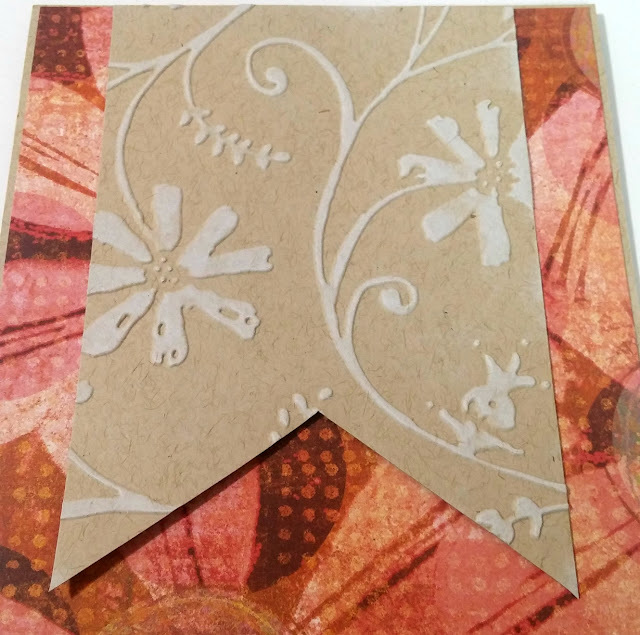 Great background paper and love the vellum with the embossed sentiment...beautiful card. Thanks for sharing with us at AHSC.